April holidays are here with us and we need to find things to do other than staying in the house all day watching soap operas, movies and football. Those with kids or younger siblings, please let us be creative this and any other upcoming holidays.I have a list of activities that will keep you busy the entire month.This activities can also be done on any weekend or even on weekdays which happen to be less crowded. So get up from your couch and let’s explore the magical city of Nairobi. I had already done an article on this place. If you missed it check it out here. 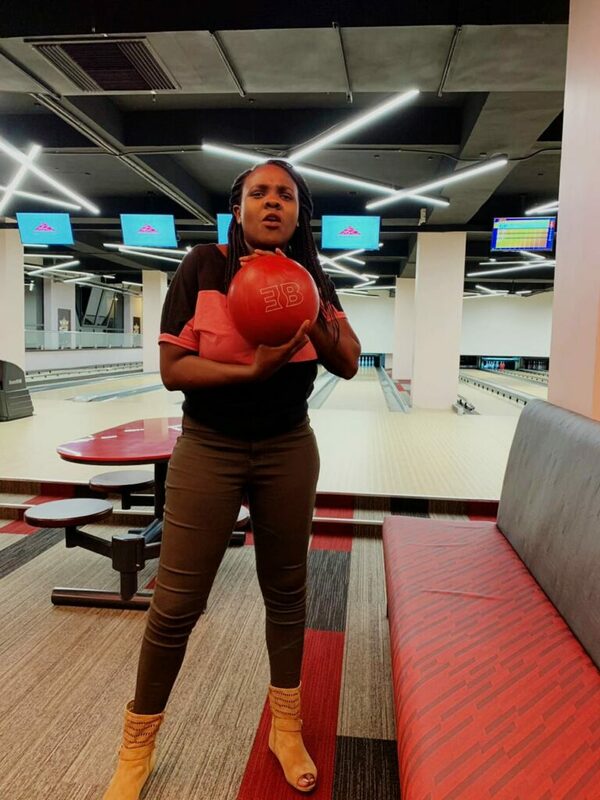 The Village Bowl is the only Bowling place we have in Nairobi.It is located at Village Market on Kiambu road. They charge 500 shillings per game which I found super affordable. My advice is that if you want to go bowling with minimum interruptions, go there before 2pm when it is less crowded. The place tends to a bit crowded from around 3pm onwards. For the people who like it a little bit rough, this is the game for you. Go get your paintball guns ready and shoot. The game is safe as you are provided with head gear, paintball guns and overalls. 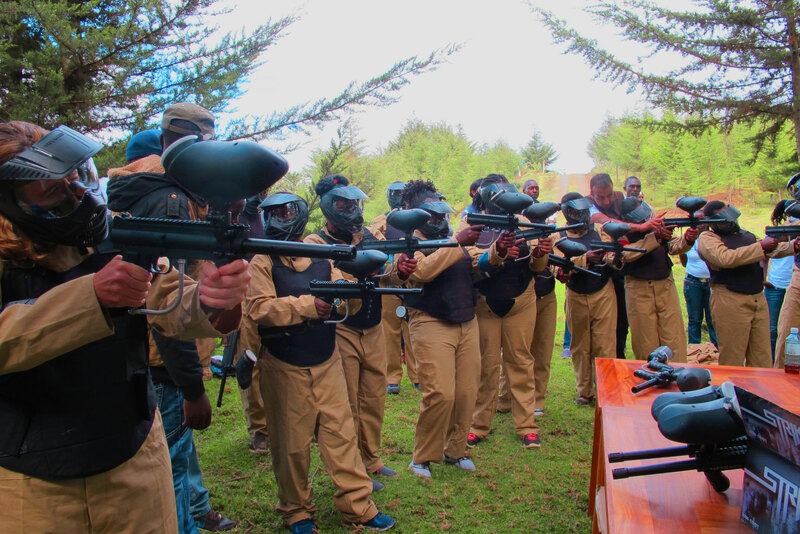 The cost is 1000 shillings for 100 paintballs in most places like Purdy arms in Karen, The Paintball Fury waterfront, the Forest in Kereita and also at the Paintball Fury Langata. This will be much fun when you go as a squad of like ten people or more. Panari is one of the most beautiful five star hotels in Nairobi and it is located along Mombasa road a few kilometres from JKIA.They have a Solar Ice Rink which is the only one of its kind in East and Central Africa. It is totally enclosed with ice temperature at -25oC and the air temperature inside the hall is 12oC. The rink can accommodate 200 skaters at any time and is open seven days a week from 11.00 am until 10.00pm. Ice Skating will cost you 800 shillings for kids and 1,000 shillings for adults. You can also get monthly skating lessons at 6,000 shillings for 6 lessons and ice hockey lessons for 12,000 shillings for 6 lessons. 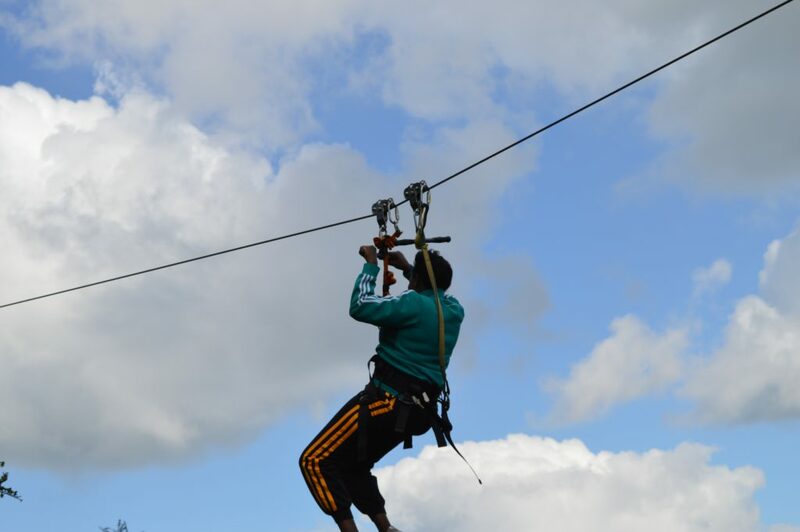 Our most common and affordable hiking and ziplining place in Nairobi. Ziplining is just 500 shillings and hiking is free but you pay 200 shillings entry fee to the forest. I have written an article on this place before. Check it out here for all the other details. 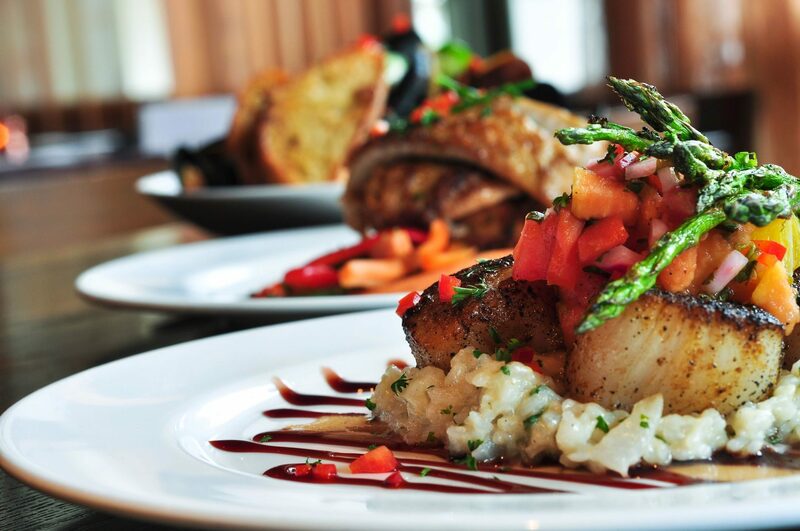 This is a must go to place. The views are breathtaking especially if you are a sunset watcher. Rock climbing is one of the things I want to try soon. It is on my bucket list. Blue sky Kenya has me sorted out. They have two locations for rock Climbing. There is one at Diamond Plaza Parklands for indoor rock climbing and another one at Valley Arcade for outdoor rock climbing. It will cost you 800 shillings if you have rock climbing shoes and 1200 shillings if you are renting shoes. This is one of the most popular activities to do in Nairobi CBD on Sundays. The sunken Park at Aga Khan walk is very popular for roller skaters. You can go and watch or you can also skate. I was so embarrassed when I saw a five year old skating so swiftly while I could not even stand up straight when I wearing the skates. But of importance is life. You can rent the skating gear at 300 shillings per hour which comes with an instructor, that is a steal deal!! Get out of your comfort zone and try roller skating. My adrenaline Junkies I got you covered. For those of you who love speed. The you guy my guy guys, come a little bit closer because this one is for you. How would you like to drive a go kart at maximum speed? Sounds fun right? 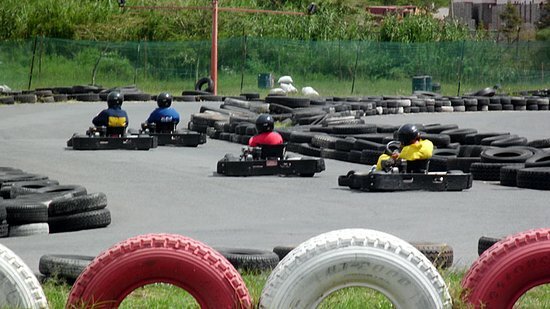 10 minutes of pure adrenaline rush.The GP Karting place at Langata just a few minutes from Splash waterworld got you covered. You could do the 10 minutes continuously or break it in to two 5 minutes.This is also the place for paintball. Squad time!!!! Do we ever really grow old enough not to go to amusement parks? I think not. I know people who still scream when on the banana ride. Lunar parks are also the go to places over the weekend especially when you have small kids. The one at Uhuru park offers a lot of activities for both kids and adults. It even has a really clean swimming pool. You can also have your lunch cooked and served there. This one caters for all your family needs. The children activities range from 100 shillings to around 300 shillings. There are other amusement parks in different locations in the city so just find the one closest to you and have some fun. Most supermarkets also have fun activities for kids to do during the weekend so be on the lookout. 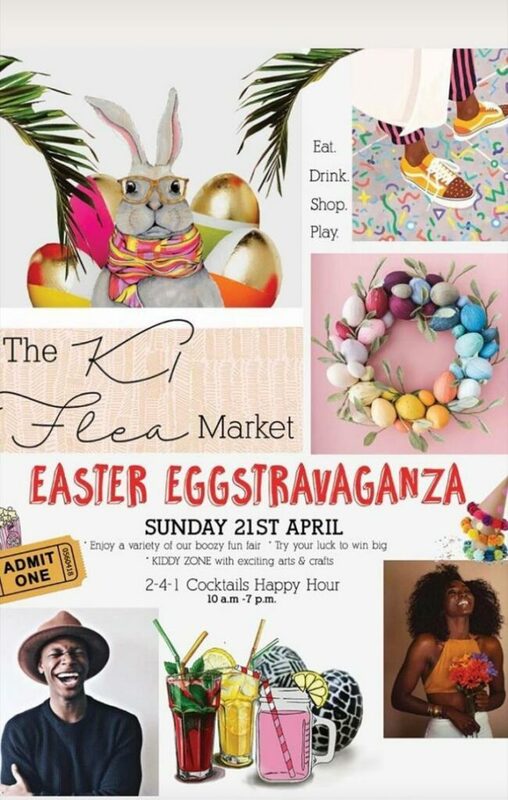 All roads lead to K1 in Westlands on Sundays.They have a flea market with a variety of vendors who sell oils, clothes, shoes, plants, jewellery, food, drinks etc. There is also beautiful music from live bands that will have you glued to the place. The umbrellas that act as the decor for the place make it look magical. Grab your squad this weekend and head there for an awesome time. They also have an Easter offer you can go and sample the goodies. How can we be in Nairobi and not have our Kenyan signature meal?? Nyama choma is the ultimate meal for Kenyans. Nowadays the nyama choma joints are almost everywhere from Kamakis at the Ruai Bypass, Olepolos, Oletepes, Spinners on Mombasa road, Pork Pit in Ruaka for Pork, Hunters in Karen for pork, Sidai Oleng at Kiambu Road, Pork Centre in Kikuyu, the list is endless. 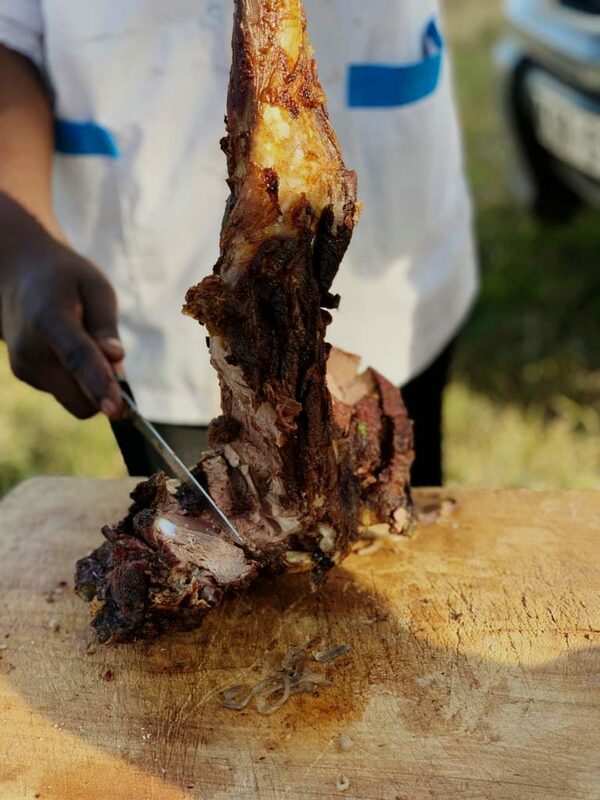 Find your local nyama choma joint and enjoy with a side of ugali and Kachumbari. What activity have I left out?